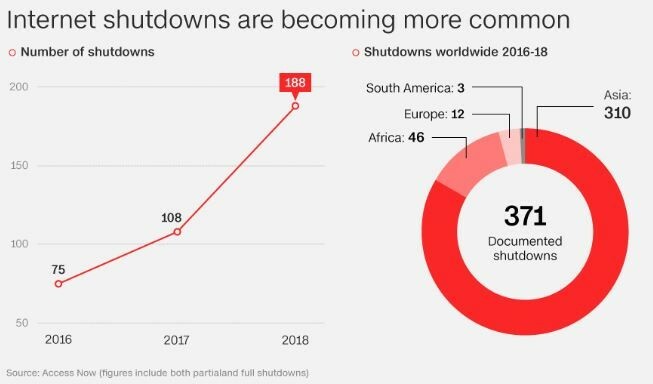 There was a sharp increase in internet shutdowns in 2018. And 2019 started in the same vein with increasing concerns that the tactic may become increasingly popular and used by embattled governments suppressing economic and political freedoms throughout the world. 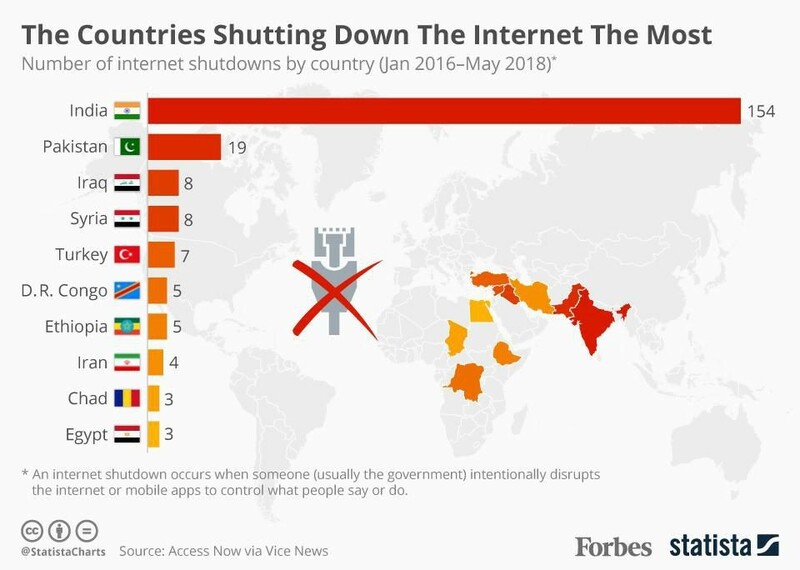 Internet shutdowns were popularised in China and have become widespread in democratic India in recent years. They have even spread to the EU and have been used in Spain and Estonia in recent years. During protests over the 2017 independence referendum in Catalonia, Spanish authorities reportedly throttled internet access and blocked websites. Russia is believed to have blocked the encrypted messaging app Telegram last year taking down the service that ended up negatively affecting dozens of other websites. Overnight Facebook, WhatsApp and Instagram were down for a period of hours. Users across the world including the US, Japan, New Zealand and parts of Europe were affected by Thursday’s outage and faced difficulties accessing the social network giant Facebook and its apps Whatsapp and Instagram for several hours. The very real risk is an increasingly global one, with multiple shutdowns also recorded in Europe, South America and Africa in the last three years.